If you paid attention to the MLB Home Run Derby a few weeks ago, you might have seen something pretty crazy. 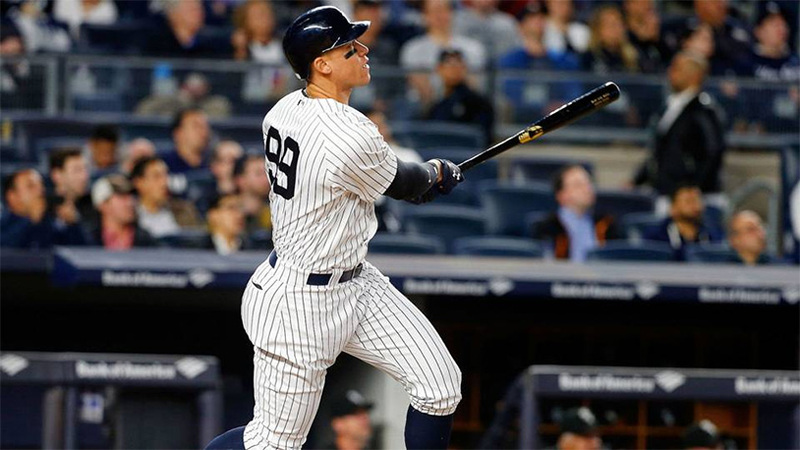 Yankees outfielder Aaron Judge stepped up to the plate and banged a homer so hard that it flew all the way up to the ceiling of Marlins Park and bounced off. This is supposed to be impossible. Stadium designers work extremely hard to ensure that all of their park’s features are well out of reach of errant balls, both to preserve the integrity of the game and to prevent damage. But Judge is no ordinary hitter. Earlier in July, he smashed a homer so hard that it left a dent in the wall of Yankee Stadium. This dude swings a bat really hard. Here’s the video of his Home Run Derby smash so you can see it with your own eyes. Watch that sucker fly! Wired has an explanation of the physics behind the crazy hit. It examines the force that Judge swings his bat as well as the advantageous angle that he makes contact. In short, this was an incredibly unlikely hit, but as batters get more and more powerful it’s the kind of thing we might start seeing more often. Good luck catching one of these babies if it goes into the stands without breaking a few fingers.